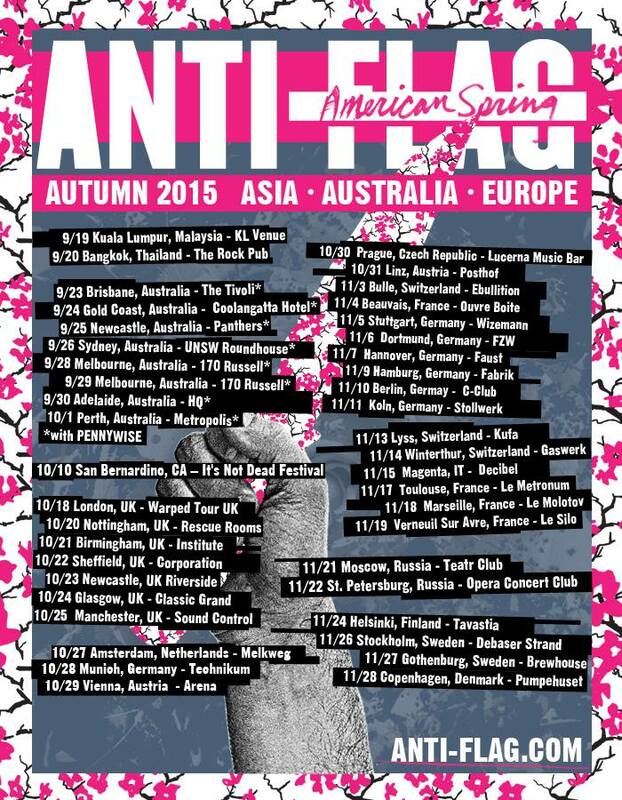 New Euro Dates ANTI-FLAG + UK Shows Here —American Spring is Out Now! The American punk rock band from Pittsburgh, Pennsylvania — Anti-Flag — are heading back to Europe with more live shows. UK dates are shown below. They have also released a superb new video which shows the band on the road & in concert in Belgium, Austria and Hungary. Check it below.